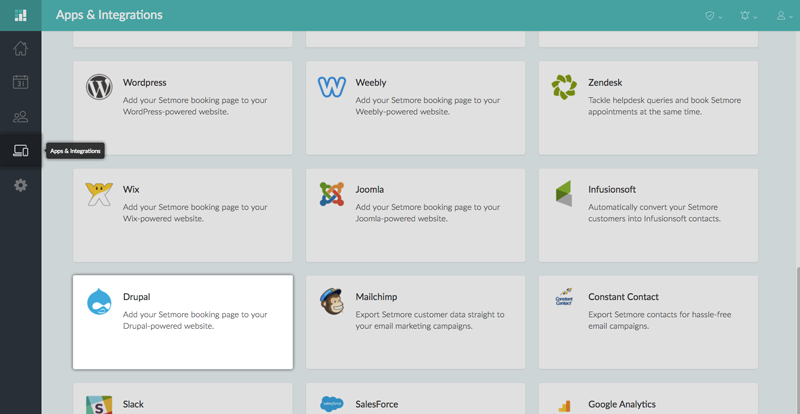 Although the Setmore Booking Page can function as its own standalone website, it's still a good idea to add or link your Booking Page to your business website. This will give your visitors and customers more opportunities to book an appointment with you online. Setmore offers a plugin designed specifically for use with Drupal that will allow you to add a "Book Appointment" button anywhere on your website. This guide will walk you through the installation and deployment process. 1. Download the Setmore plugin for Drupal by clicking here. 2. In Setmore, navigate to Apps & Integrations, scroll down and click on the Drupal integration card. 3. In the Drupal details menu, find the Setmore Key form field and click the "Copy" button right next to it. 4. 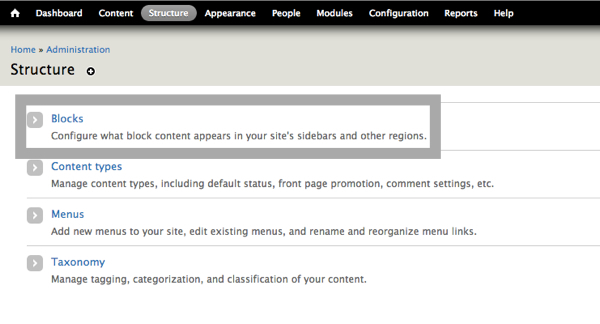 Open Drupal in a new browser tab and navigate to "Modules." Click "+ Install new module." 5. On the following page, select the option to upload a module and upload the plugin file that you downloaded in Step 1. Once the file is selected, click the "Install" button. 6. On the "Installation successful" screen, click the "Enable newly added modules" button. 7. Navigate to Structure > Blocks. 8. Scroll through the list of blocks and find the option for Setmore Appointments. Use the dropdown menu in the "Region" column to select where you would like to place the "Book Appointment" button. 9. Now click the Configure link in the "Operations" column. In the following window, find the form field for "Enter your Setmore key here" and paste the Setmore key that you copied from Step 3. Click "Save Block" when you are finished. The integration is now complete. The "Book Appointment" button should now appear in the area of your website that you specified in Step 8. When you click this button, it will open your Setmore Booking Page in a lightbox window.